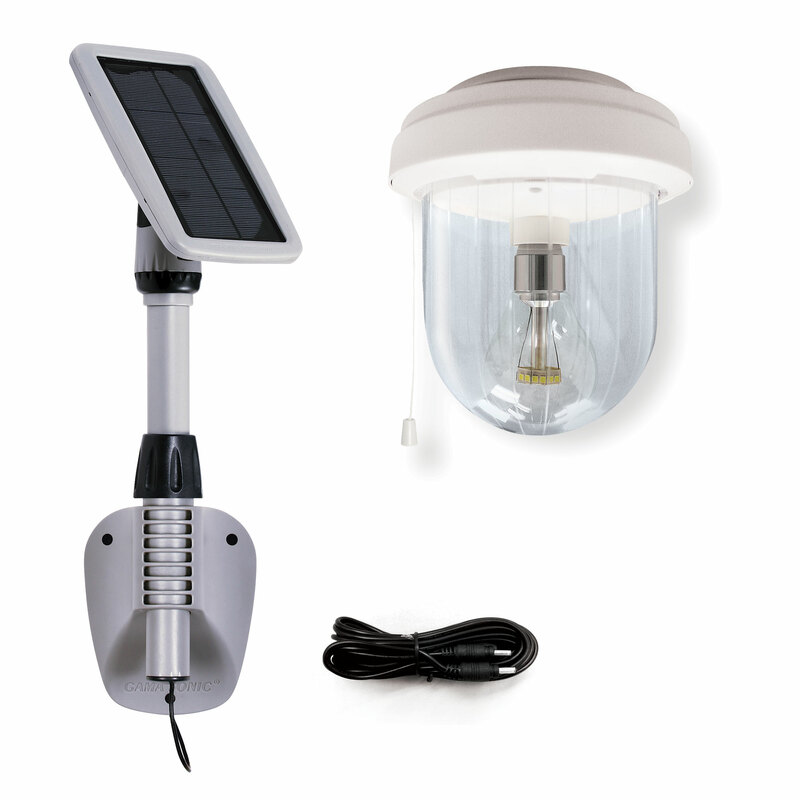 The 4th generation of the Light My Shed IV – Solar Shed Light GS-16B is a single head fixture built with our new solar LED light bulb and is an energy-efficient way to illuminate utility structures ranging from an outdoor shed or storage unit to a garage, greenhouse, or other structure. 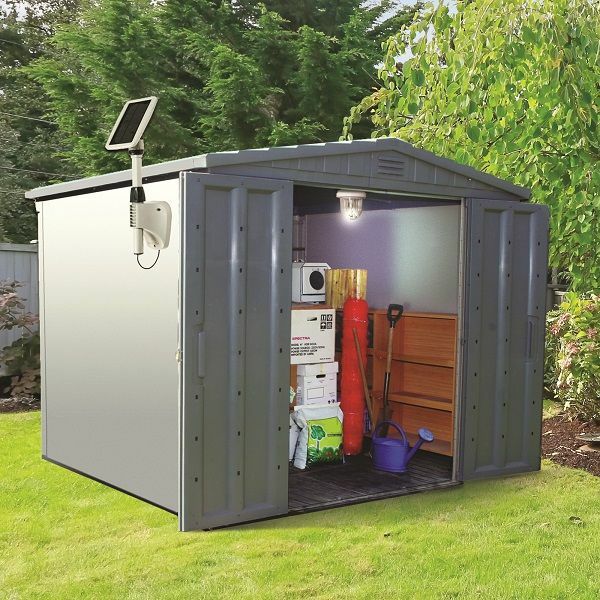 The Solar Powered Shed Light GS-16B illuminates 250 lumens in a bright-white color temperature for up to 4 hours on a full charge. An optional second light attachment is available GS-16BKIT, that doubles light output but decreases operation time to 2 hours. Solar Panel Measurements: 8L x 5W x 22.25H in. Light Measurements: 6.25L x 6.25W x 6.75H in.